Managing public relations in a crisis is not a job for the faint-hearted or the uninformed. If you want to survive, you’re going to need expert advice. Many businesses will face a public relations crisis this year. Statistics show that more than half of them will be out of business within two years. 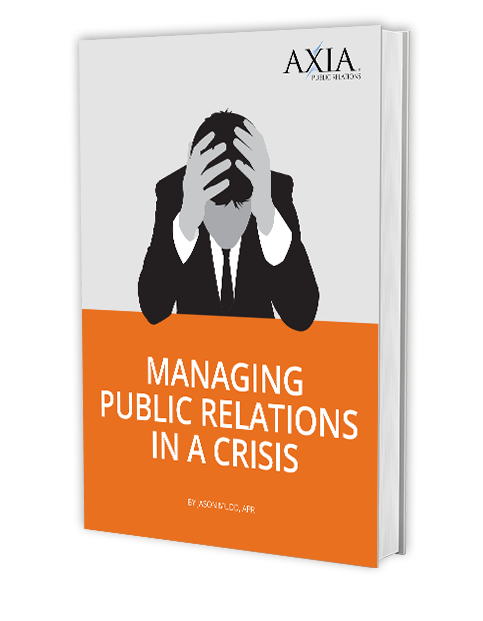 With our free e-book Managing Public Relations in a Crisis, you can learn from Axia Public Relations’ experts how to protect your company’s reputation and restore trust in your leadership and your brand.